Product prices and availability are accurate as of 2019-04-14 22:12:19 UTC and are subject to change. Any price and availability information displayed on http://www.amazon.co.uk/ at the time of purchase will apply to the purchase of this product. 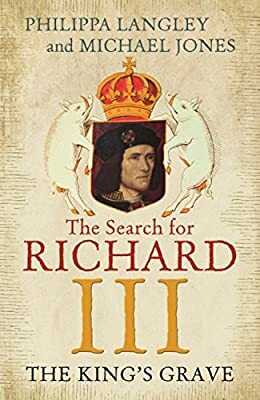 Philippa Langley gives an overview over the developments leading to the final search and sensational discovery of the remains of King Richard III in Leicester in the year 2012. The intensive work of previous years necessary, to enable and finance the involvement of archaeological specialists lead by the University of Leicester. The book is extended by historical chapters about King Richard III by historian Michael Jones.